The case for licensing seemed obvious because of the success of Windows. Apple had kept MacOS to itself, while Microsoft had licensed Windows. Microsoft won. Therefore licensing was the best way to go. But then Apple transformed the phone market with the iPhone, and created the tablet mass market from scratch with the iPad. Suddenly the proprietary approach started to look a lot better. Ten years later, the idea of an independent operating system licensed to all comers is a fading ideal. The two leading operating system licensors in mobile have now bought major hardware companies: Google with Motorola and Microsoft with Nokia. Both companies continue to license their software, of course, but clearly they don’t feel that’s enough. They need to also create hardware. 1. There already is an Apple. You can make a good argument that Cupertino has already used up most of the customers who are willing to pay extra for a value-added smartphone or tablet, and that the remaining customers are mostly buying on price. That creates the possibility that Microsoft (and the Motorola part of Google) will end up with the worst of both worlds: an Apple-like expense structure but with commodity margins. Google can afford that since it has the web advertising business to subsidize it. Microsoft, with restless shareholders and all of its cash cows under threat, has much less room to maneuver. 2. Does combining hardware and software really work? Other than Apple, how many integrated hardware-software companies have succeeded wildly in mobile? Let’s see, there’s Palm, BlackBerry, Danger… Apple starts to look like the exception rather than the rule. I start to think the real lesson is that no strategy will work if you execute it poorly. Perhaps Microsoft would have been better off fixing the flaws in its licensing model rather than totally changing strategy. But it’s too later for that, so we should ask why Apple succeeded where so many other companies failed. Maybe it’s because Apple has a culture in which product managers, rather than engineers, take the lead in defining products. If that’s the case, Microsoft will need major cultural changes, and Google, well, forget about it. – Windows 8 has failed to produce a turnaround in Microsoft’s gradual decline. – The Surface tablets have more or less died in the market. – The company’s just been through a massive top-level organizational change. Those things typically take a year to trickle down through the organization, as the lower levels of management get resorted and reassigned. That process will be disrupted while everyone waits to see if the new structure will stick with the new CEO (unlikely; new CEOs almost always want to change things). – And now Microsoft needs to mesh the Nokia and Microsoft businesses. There’s a cultural challenge: Nokia’s is a collectivist Finnish hardware company while Microsoft is a dog-eat-dog hypercompetitive software business. There are also operational challenges. As I learned when I worked at Palm, it’s incredibly difficult to manage an operating system to please both your in-house hardware team and your licensees. They always want conflicting things. 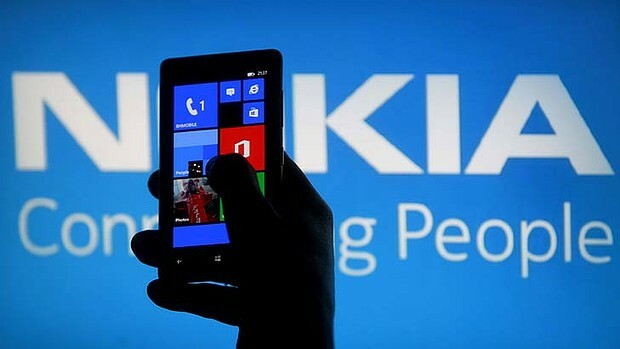 Microsoft claims it can both license Windows Phone and run Nokia. I hope that’s just bluster, because I don’t think it will work in practice. It’s an almost ridiculously complex situation. Who could make all of it work? Who has an ego big enough to even try? To me, it feels like a job for a mad cartoon genius rather than a human being. Megamind would be perfect, or maybe Gru from Despicable Me. I’m only joking a little bit. The CEO hire at Microsoft is going to be pivotal, and it’s difficult to imagine anyone who has the qualifications to make it all work. Microsoft needs to find a new measure of success. In its presentation on the deal, Microsoft bragged about how it’s “outselling BlackBerry in 34 markets” (link). This is not the first time I’ve seen Microsoft use BlackBerry as its measure of success, and it needs to stop. It’s like bragging that you outran a dead guy in a marathon. The conspiracy theorists will love this. Even before the purchase of Nokia’s phone assets, some Symbian die-hards had muttered that Nokia CEO Stephen Elop was a Trojan horse: a Microsoft exec sent to Finland with the hidden agenda of destroying the company’s value, so it could be snapped up by Microsoft. That’s certainly the outcome we got, so I’m sure the conspiracy buffs are boiling today. But for the record, I don’t think Elop was a Trojan horse — Nokia’s management was doing a very good job of destroying its value long before he arrived. What happens next? There are some interesting shoes that might drop next. Now that we have three big hardware + software players, will the other mobile hardware makers feel pressure to copy them? In particular, will Samsung decide that it needs a different operating system? Samsung already has Bada OS, which it reportedly plans to merge with the Tizen project it’s driving with Intel. Maybe it’ll feel that’s enough. Will the Chinese vendors feel pressure to act? If they do, there aren’t many other operating systems they could buy. Maybe BlackBerry? Would the Canadian government allow that? That’s my quick take, but it’s a complicated situation and there’s a lot more to think about. What do you think it means? I’d love to see your comments. This entry was posted in Technology, Wireless, Work and tagged Apple, hardware, Microsoft, Mobile phone, Nokia, operating system, OS, smartphone, Software. Bookmark the permalink.